If you had wanted to start farming about 10 to 20 years ago, you would’ve met several tall order obstacles, mainly related to knowledge/skills and capital requirements. Here is a quick synopsis: Looking at larger commodity crop farms in the US, most are a generational product, i.e. family businesses. Skills are past down the lineage, because after all, farming as Zen as it might be, is a complex business. Even if you are working your way in as a first generation farmer, it is likely that an apprenticeship of at least a couple of years (to learn the basics of the business) is required. So to own a farm, not only do you need to fork over large sums to get started, but you need specialized knowledge to make it work. Additionally, in many developed parts of the world (outside the US), farms are becoming more industrialized and consolidated to account for a vastly growing population, leading to the same conclusion. How does one go about starting a farm? The good news is that the prevailing winds in the US maybe blowing in favorable direction for the modern farmer. While the bigger family farms are still around, according to the USDA agricultural census data, the majority of farms are classified as small (based on revenue), and the trend may be moving towards “boutique” style operations, CSAs, urban farming ventures, etc. It is now easier than ever to start high-density farms, whether urban or rural. Another interesting trend is that farming is no longer seen as a backbreaking profession, and many college graduates are flocking towards farming and starting their own farms. In addition, many of them have never farmed before, but they see it as an opportunity to work for themselves and to tangibly see the fruits of their labor (quite literally). What’s the appeal of a small farmer? Partially spurred by the vast increase in farmers markets and the locavore movement, small farms are a hip new start up trend. Having the ability to sell directly to the consumer or directly to a supermarket or restaurant down the road has made the prospect of farming a bit more attractive. A more reliable cash flow is one such reason, but being able to provide exactly what the locals want or finding a niche crop, allows the farmer to really know their customer and be able to charge for product accordingly. This allows for the type of pricing that companies like Starbucks are known for- you can get a coffee for $1.50 or upwards of $5 and it’s all driven by customer preferences. Likewise, charging variable pricing for a novelty cultivar of mint vs green leaf lettuce as an example (higher in case of mint and lower in case of lettuce), allows the small farmer to cater to a large local audience and attract more people to their operation. If the above points describe you, then you have to strongly consider indoor farming, also known as Controlled Environment Agriculture (CEA). Arctic Greens is a subsidiary of Kikiktragruk Inupiat Corporation (KIC) and it became an idea in the minds of KIC’s managers in October of 2015. 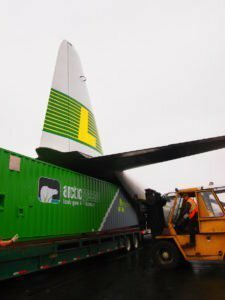 KIC, headquartered in Kotzebue, Alaska, had a desire to bring fresh produce to the people living in Kotzebue, a city of about 3,200 situated above the Arctic circle, near the Bering Strait. While this may seem like a wild idea, it is perfectly reasonable to address the issues of health, sustainability and quality of life in the north with indoor growing. We at VHH started discussions with KIC and in February of 2016, we started to manufacture their first indoor growing unit. By 22 June 2016, the first harvest arrived. 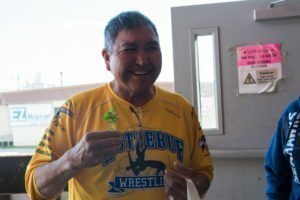 There was a celebration at the local produce store along with samples being provided by the Arctic Greens team. Produce is currently for sale at the AC – a local grocery store. 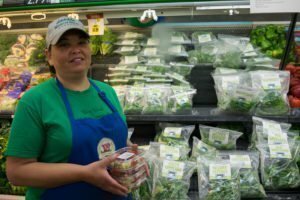 Arctic Greens has secured an agreement with the Alaska Commercial Company that runs the AC stores throughout remote areas of Alaska, to sell the company’s produce. 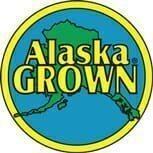 For more information about Arctic Greens, visit our press release page. Sales & Marketing: Who is your customer? Is it individual consumers, restaurants, supermarkets or a mixture of the three? Do you have agreements in place to ensure your product is sold as fast as it’s produced? Since you are a local farmer, how will you make a connection with your customer base? This is important, since the big appeal of local is transparency and trust that takes place between a farmer and a customer. Financing: Have you spoken to either a bank or another entity regarding securing a small loan? What are the loan stipulations? Is collateral required? Can they loan you 100% of the required amount? Will your credit score come into play and how will that affect your rates? Financial projections. Asking yourself if this is a profitable venture is an important question. Answering that question requires figuring out many input factors such as cost of capital, cost of goods (seeds, nutrients, packaging if any and other consumables), cost of labor, utilities cost, and overhead such as sales and marketing. Equally important is estimating the revenue (how much can you get for each piece or pound of produce). Finally, the goal is to arrive at the profit and growth potential of a business by subtracting costs from revenues (and remember to allocate money to pay taxes). Many start up costs can be expensed in the first year and depending on your business model, talking to a qualified accountant can be very helpful. Another big point is knowing when your first loan payment is due and having enough cash to cover it. Depending on the loan amortization schedule, it is likely that you will not have sales revenue by the time the first or second installments are due. This is what we call working capital – it is a set amount of cash in the bank, used for day to day operations, that is readily available to fulfill your obligation that arise as a result of doing business. Examples are: paying employees, paying creditors, buying consumable goods, etc. Figuring out how much money you need to have on hand in any one time is critical to avoid running into the ground. Projecting your finances is an imperative part of the process and should not be skipped. Starting a farm is in many ways no different than starting any other business. And yes, it will not be easy. It takes a specific individual to be self disciplined to push through every day, to have a vision of success and to work hard. If you are serious about starting an indoor farm, we can help with financial modeling and other aspects of the business plan. The technology that Arctic Greens is using is a VHH designed and built 4th generation Containerized Growing System (CGS Gen IV). 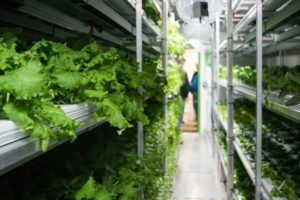 This specific model is an industrial-grade hydroponic fresh vegetable production system housed inside a 40’ insulated shipping container, specifically designed for the arctic. It includes everything needed to grow fresh produce and gives our customers flexibility in choosing their location. The system can be placed anywhere with access to potable water and electricity, and provides a streamlined path from the point of production to the table. The system is professionally engineered and designed to work functionally between -60F and 85F and has been optimized for high yield, year round production. Despite the tiny footprint, each CGS can supply anywhere from 23,400 pieces of produce per year, which is nearly equivalent to 1 acre of farmland. Customers can choose from a variety of greens and herbs such as lettuce, kale, arugula, mint, basil, chard, parsley, cilantro, dill, thyme, and many more. Everything grown in a CGS is safe, clean, pesticide free, and non-GMO. I’m working on the Noah Dyer for Governor campaign. Our platform is building a ton of vertical farms to help feed AZ’s booming population, while cutting down on the amount of water needed. I would love to ask you a few questions on how to make this possible and to see if there is a good fit! Is there a good time to connect this week? I want to start farming and indoor gardening but i want to learn about grow light. please reply me or post something about grow lights. William, please send us an email at info@vhhydroponics.com. Thanks! Craig, please send us an email at info@vhhydroponics.com. Thanks! Very informative! 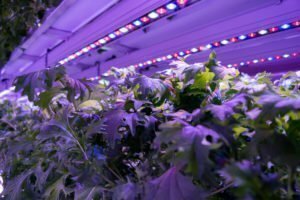 Indoor farming can be profitable, as long as you have the right knowledge about it. I like the info provided by you. Thanks a lot for sharing. I believe this is among the most vital info for me. And i am happy studying your article. web site taste is ideal, the articles is in reality excellent : D.